Alas, the Green Party didn’t pick any seats up in the Nov 26 Canadian federal by-elections. While their strong showings probably count as a real moral victory, I imagine at this stage they’d prefer amoral, real victories. ;) As it turns out, Parliament’s composition is unchanged, “while my green heart gently weeps”. Despite donating to the Official Opposition (whomever it’s been) since 2008, I have a soft spot for the plucky upstarts. After years in the political wilderness first as an Opposition member and then as a lobbyist, current PM Stephen Harper succeeded in uniting far-right-wing (by Canadian standards) Alliance party with right-wing (by Canadian standards) Progressive Conservative party. And promptly positioned the new Conservative Party considerably to the right of the old Progressive Conservatives. In the recent provincial elections in Alberta, the federal Conservatives openly supported the far-right (by Canadian standards) Wildrose Party, infuriating many Albertans who vote Conservative federally, but vote Progressive Conservative, provincially. These folks are called “Red Tories” because they’re on the progressive side of the conservative spectrum, and globally, red tends to be the colour of progressive parties, and blue is the colour of conservative parties. The main exception is the US, where the red party — the Republicans — are the conservatives. (And wow, are they ever!) This is because they actually used to be the progressives, and the Democrats used to be the conservatives, with a hammerlock on the white vote in the southern US. This all changed in the 1960’s when the Democratic Party embraced the Civil Rights movement. The Republicans went after the white southerner vote, which is why the US has a progressive (by American standards) “Blue” Party and a conservative (by any standard) “Red” Party. But back to Alberta, these so-called “Red Tories” appear to have defected en masse to the Green Party in this byelection, in displeasure at the Conservatives’ “as-right-wing-as-the-Wildrose-Party” candidate. While Chris Turner’s campaign did well, and roughly in line with polling, no one seems to’ve foreseen that in the Victoria by-election, the Green Party candidate would almost win. Donald Galloway got beat by a 37% to 34% margin, but on Monday night, he didn’t give up his lead in votes until about the three-fifths of the polls reported back. Cher is reasonably well known as having been the first “big” artist to feature auto-tune, back in 1998 with her song “Believe”. The technology was invented by an engineer who’d used similar filtering technology to help Exxon analyze seismic data and find petroleum deposits. This was just around the time The Economist had a cover story on how cheap oil was, and how much cheaper it’d get (“Drowning in Oil“). They were talking about prices of $5 per barrel Current price for Brent crude in Europe: $109 per barrel. For West Texas crude in North America: $86. I should note that I’d previously thought the article was from 1998; I thought they’d come out with their story exactly at the same time as the nearly-all-time inflation-adjusted low in the oil in late 1998. As it turns out they were a few months late with their optimism. 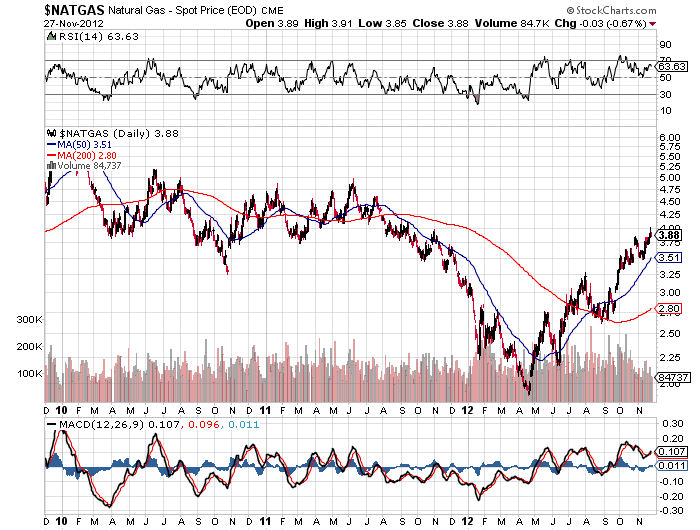 If I remember correctly, one million BTU’s of natural gas has about 1/6 the energy of a barrel of oil, so even at $8/MMBTU natural gas, there would be a financial benefit for companies to switch over from oil, as long as the latter stays about $50/barrel. Which seems likely — the last time oil got that low was in the middle of the Great Recession of 2008/2009. The fact that the oil market changed so much in the prior decade (well, to be honest, a decade’s a long enough time for a lot to change, in most industries) might give us pause for thinking about the role of oil a decade from now. It also gives us pause when criticizing British Petroleum for their old “Beyond Petroleum” campaign as greenwashing. “Beyond Petroleum” dated to around the time oil was reaching those near-all-time inflation-adjusted lows, so the leadership team might well have concluded they needed to diversify elsewhere to maintain profitability — and may have honestly intended to do so. Of course, once oil prices recovered and oil became super-profitable again, the initiative may have indeed turned into the greenwash that it wound up being accused of being. In recent years, rising demand in developing countries has been largely offset by declining demand in wealthy countries. And while the US seems to be getting a second economic wind after several years of turmoil (housing prices peaked there way back in 2006) it’s hard to imagine demand increasing in Europe or Japan for the time being. The gradual change to more fuel-efficient vehicles would also be expected to decrease demand. With all sorts of warning signs that China is due for a breather, it’s possible that demand increases elsewhere in the world might not offset demand drops in the so-called First World. And that doesn’t begin to consider the possible impacts of (in probably descending order) natural gas, public transit and electrification initiatives over the next few years. Less demand for oil would cause a drop in prices, which would hit our Albertan neighbours’ bitumen industry — even if (Gaia forbid!) all their desired pipelines were to be built. And the miasma of the ensuing bust, could open the scenario whereby a Green politician (or green-minded progressive) could win election on the platform of shifting heavy industry from petrochemicals to renewables. If you’ve drilled oil wells, how hard could it be to do geothermal? And if you’ve built ginormous equipment for the oil sands, how hard could wind turbines be? There’s a Norwegian precedent (ah, those Scandinavians give progressives like me, lefty-envy!) where the state oil company — called StatOil, conveniently enough — decided to take their floating offshore oil platform knowledge and see what would happen if they put a wind turbine on it. From what I’ve read, the first unit is currently undergoing a two-year test to verify feasibility. If it is, then Statoil may have discovered a way to reinvent itself in the necessary future of declining oil consumption!